As the world celebrates teachers' day, the Division of La Carlota City has its own program to honor its teachers in a memorable one. 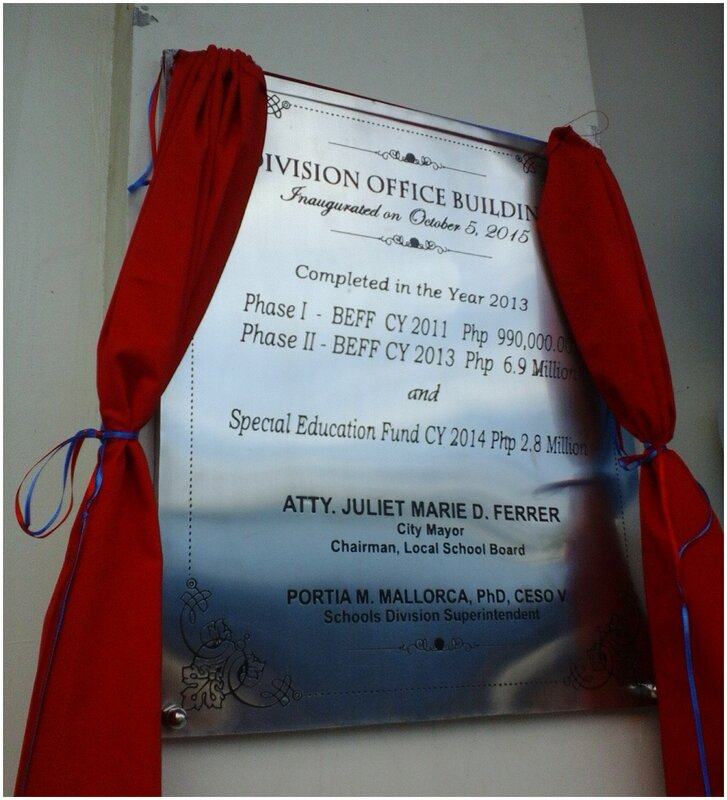 Likewise that day marks a major milestone in the history of the Division of La Carlota of having a new 9 million home, blessed and inaugurated, unveiling of historical marker and raising of the flag for the first time in the said DepEd new ground. "It is not the pay that we received that matters. It is our earnest desire to be in service that we may stand out from all professions and our greatest reward is when we see children entrusted to us in which they inspire for becomes the best person that they can be. We take pride in their achievements. "Teacher makes a difference. Our greatest challenge is to live nobly, modestly, and with dignity as we are the most respected, trusted, valued members in the society. Live up, dear teachers, to that expectations. I salute and honor you for your nobility and passion. My dear teachers and to all of you, Happy Teachers Day!" 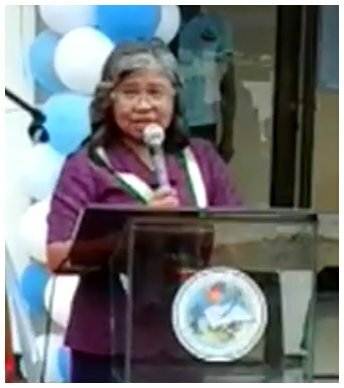 La Carlota City Mayor Juliet Marie Ferrer gave the background in her message how the building underwent phases for completion. She expressed that this only shows that the city government of La Carlota is only supportive of the education sector of its governance. We have so many awards when it comes to education because we value our students very much. Without the teachers that guide and teach them we've not excelled in regional competition and even in the national level on the process. "Teachers without you, our children would not be guided correctly," said the Mayor, "Continue to be dedicated to you work." She informed Mam Ledesma that they've so many accomplishment under SEF for this is for our children. Twelve HE buildings are about to finish this year and the major improvement of three schools too. "This is where our SEF is spent for the school's needs," Ferrer concluded. By giving a certificate of recognition is the humble way of expressing the gratefulness of La Carlota DepEd to her stakeholders like the general federation PTA, the federation faculty association, the association of barangay council, the Philippine National Police, the city engineer's office, the general services, the city government, among others. SDS Portia M. Mallorca in a short message has expressed thanks and appreciation for the stakeholders invaluable support as far as the welfare of the pupils and the school governing council is concerned. More than seven hundred elementary and secondary teachers took pride and happy on this momentous event intended for them as they started it off with a parade in the main thoroughfares of the city. 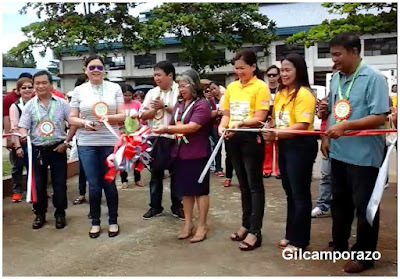 In a brief opening program at the La Carlota City gym, La Carlota ASDS Gladys Amylaine opened it up by gratefully acknowledging those who made everything possible for that momentous occasion. Cluster of seven of groups of teachers and non-teaching in the Division took turn to present their entry for cheer dance competition. Then it was followed by Laro ng Lahi (Native Country's Games); solo, duet and choral singing contests, and Pop Dance contests. Those teachers enjoyed their free snacks and lunch, and door prizes through the courtesy of DepEd friends, stakeholders, and supporters. Everyone enjoyed. They look forward for another teachers' day next year. Teaching is a wonderful profession which creates contributors to the future. A teacher becomes a role model for students and the thoughts of a good teacher always remains in the heart of a student. Like any other profession, teaching also needs so much of hard work and in fact teachers are still learners who keep learning each day. Yup, the DepEd office looks like a house! On the other hand, being a teacher is just like parents in the eyes of the students so let's raise a glass for a teacher like you who has influenced most of the successful people now! Cheers to teachers! Props to all e amazing hard job they do to teach the youth every day. Teachers are forever indispensable. I just wish that they had a stricter way to filter the teachers that are produced to ensure quality education. Teachers deserve all the praises that is given to them, without them we wouldn't be where we are now. They are amazing people. We have been celebrating teachers day in my old school since we were nursery. We used to celebrate it on the birthday of Confucius. This was one of the most awaited days of the school year. I have much respect for teachers. I've always valued mine and even when I see them these days, I really thank them for everything I've learned. Teachers deserve our respect and should be given that much-deserved honor. One of the most rewarding and respected profession in the world. They act as second parents to our future leaders. Their dedication to their craft and love for the kids should be commended. We are celebrating Teacher's Day here with GPTA members, students, parents and teachers. Such a nice way to honor them though. Teaching is a profession with much to be desired about, but hard to explain in one word. Fun event! We had our share of celebration too. Incidentally I am a teacher! haha :D And they said we are the unsung heroes of today. It may be true, but I'd rather be discreet on the sideline raising great people, because that's what I love to do, serve unnoticed, unrecognized but fulfilled and contented. Happy! Humbled to served as a teacher. As , I always telling my son's friends who are taking up Education... Teaching is not a profession but a vocation. Lucky for me though, college instructor ang peg ko. What I am and what I have achieved is all thanks to the good training I had with my teachers. It's time to thank them and recognize them for their unconditional commitment. I really salute those teachers who are so dedicated and passionate about their job especially the ones teaching in public schools. They are the second parents of children while in school. Teachers are really among the most respected people. They influence a lot of students for generations. 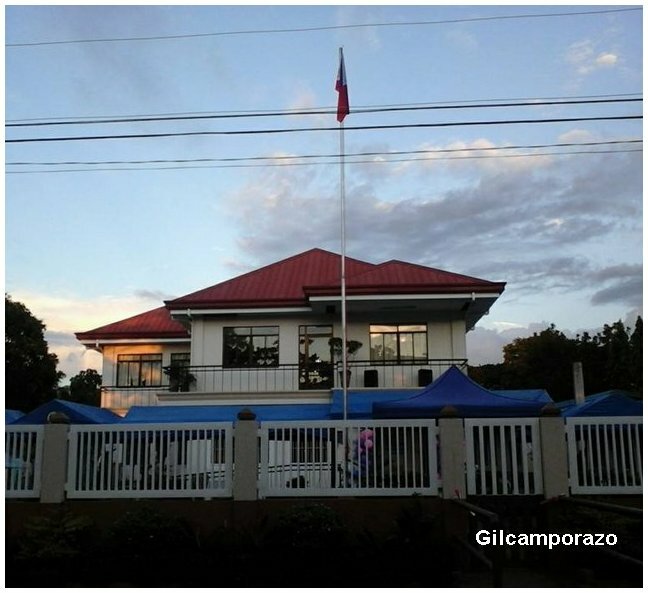 It's also nice to see a New DepEd home in La Carlota. It's a way to honor the noble teachers we have. Teachers are like our second parents, so we respect them the same way. They have taught us different things from acads to lessons about life. They deserve recognition not only during Teachers day but even when we see them around; a simple hello, smile or hug would really make them happy.